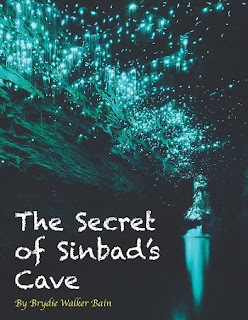 Brydie Walker Bain's "The Secret of Sinbad's Cave," book 1 in the Natnat adventure series, is a treasure-hunt adventure young readers are sure to love. The main character is the adventurous young student Nat Sheppard. When she is informed that she'll have to leave the farm she loves, her sister Kathleen suggests they go on one last adventure. When Nat and her friends discover a secret room with maps holding clues to treasure, they go on an epic adventure ... with professional treasure hunters hot on their trail. One of the things I like about this book is the large cast of characters, allowing all readers to find someone to relate to. The characters go to a number of whimsical, exciting locations, such as the unique Glowworm Caves. I'd recommend this book to young readers (8 - 15) who enjoy adventure/action and interesting characters.